It’s November, and with November comes IBTM World. 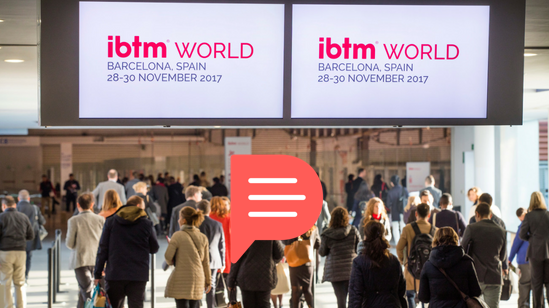 IBTM World, a leading global event for the meetings and events industry (MICE), is taking place from 27 to 29th of November in Barcelona for the 31st time. This Summer, we have been rebuilding completely our Planify web manager, improving your user experience of designing travel itineraries for your incentive or group travels on Planify. Design your travel itinerary once, share it everywhere! You can simply design your itinerary in the web manager and your travellers will simply get it in the Planify mobile app… or in a PDF you’ll be downloading from Planify, that you can even print if you need. I’ll be visiting the famous incentive, travel and meetings IBTM World fair on November 27th and 28th, and I’d love to meet you again to discuss the current challenges of the group travel industry or how can Planify be implemented in your agency.